Kokopelli, the Native American fertility deity, is known as a fun-loving flute connoisseur. But did you also know he is an avid birdwatcher? 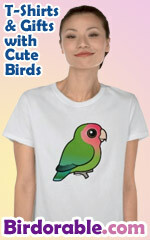 This is a great birding gift based on the iconic deity.